The “E-Drive (totally enclosed flat plate lift system) is driven by a state of the art oil bath gear reducer. 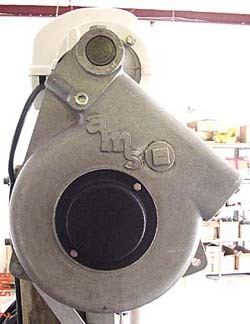 Our system incorporates the gear drive directly to the drive shaft powered by either a ¾ hp, 1 hp, or a 1½ hp. motor. 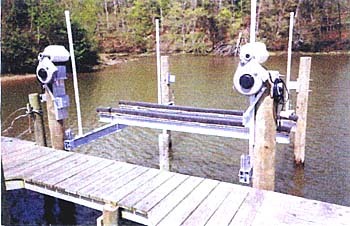 This lift system is available on either overhead beam or low profile boat lifts.